Following in the footsteps of Alice in Wonderland, Cinderella and The Jungle Book, earlier today we got our first peek at Bill Condon’s Beauty and the Beast, the latest live-action fairytale to tumble off Disney’s busting production line. It’s slated to land in March of next year, but long before that, we have the arrival of Alice Through the Looking Glass, the hotly-anticipated fantasy prequel that’s arriving by way of James Bobin. Heralding the return of Mia Wasikowska as Alice, Bobin’s feature has our heroine journey back to Underland on a mind-bending adventure to save a young Mad Hatter. There, she’ll encounter a whole host of eccentric characters – based, of course, on Lewis Carroll’s literary work – including Helena Bonham Carter and Anne Hathaway as the Red Queen and White Queen, respectively. There’s also roles for Sacha Baron Cohen as Time, Stephen Fry as the Cheshire Cat, Michael Sheen’s White Rabbit, and the late, great Alan Rickman as Absolem. 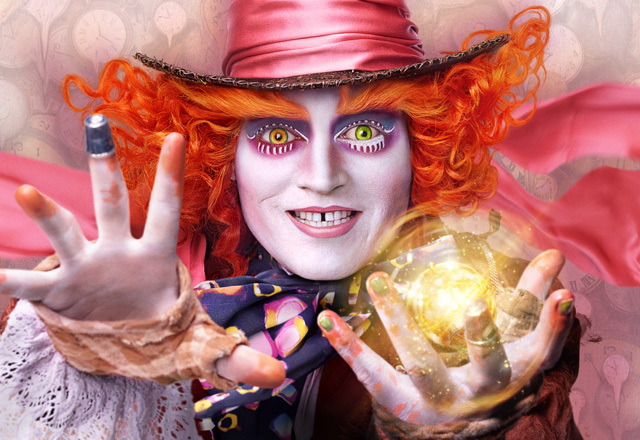 Come Friday, Alice Through the Looking Glass will whisk moviegoers back to Underland when James Bobin’s mystical adventure opens on May 27. There, it’ll go up against Bryan Singer’s army of mutants in X-Men: Apocalypse. Director James Bobin brings his own unique vision to the spectacular world Tim Burton created on screen in 2010 with “Alice in Wonderland,” in which Alice (Wasikowska) returns to the whimsical world of Underland and travels back in time to save the Mad Hatter. The film, which once again features Johnny Depp, Anne Hathaway, Helena Bonham Carter and the voices of Alan Rickman, Stephen Fry, Michael Sheen and Timothy Spall, introduces several new characters as well: Zanik Hightopp (Rhys Ifans), the Mad Hatter’s father, and Time.